Susan Hayward in "Sleep Has Many Dreams" with Jess Barker and David Rose and the Savings Bonds Orchestra". Wouldn't you love to have a copy of this? I certainly would. I wasn't aware of Susan and Jess doing anything like this. Fascinating - I went to a website titled ' Old Time Radio Downloads' and it is available for listening. It shows an air date of 16 January 1949. Jess begins the intro then David Rose and the Orchestra take over. The play ends at about 10 mins in, then David R and the boys take over again for some orchestral manoeuvres – then Susan re-appears. The last 3 mins is Susan talking about savings bonds and how she and Jess having the twins made them think about saving for the future etc etc. the OTR site,but where do you go from there. All my key words led nowhere! Permit me a little time to do some hunting about here. I sent a link to the site to Gloria, who is an avid Haywardian fan because she rarely posts in here and only this morning I got an email from her saying her pc had been afflicted by a virus that shut it down for two days and cost money to repair and remove. She feels it was the radio download that carried it?? I seemed to have no problem from it, nor a couple of other people who were also recipients of the email- but maybe our particular virus protection was effective- or maybe the site is completely clean and Gloria's virus came from another source entirely? I have written to Trish just now about it and will see if she knows anything either way. It is probably quite safe but I was reluctant to get you to download while it is suspect. Ah - good news Elaine. I am glad that you could access the recording and no ill effects. I would say Gloria's pc virus emanated from elsewhere. Look I do agree with you re Jess' thespian abilities. Perhaps beside a lesser actress than Susan Hayward it would not have been so obvious. He was fine in his roles but would never be listed in the Pantheon of all time great American actors. Re Heston- I am a massive Chuck fan and while I fully see what you mean when you compare his screen work to some of his contemporaries of the 1950's and 60's, he had that towering majesty and imposing visual and aural screen presence that compensated for the ( usually) one dimensional delivery of his characters. I think the other reason I continue to hold his work in fond recall is that he formed an indelible part of my youth when going to movies and in titanic roles in massive productions. This was dazzling to me at that age. Actually it is interesting harking back to such recollections on this particular site. In the 1950's being a callow youth in school and knowing little of the requirements of the noble art of acting, my movie delights were mainly westerns and costumers and historical epics. Sweeping visuals, excitement, adventure. 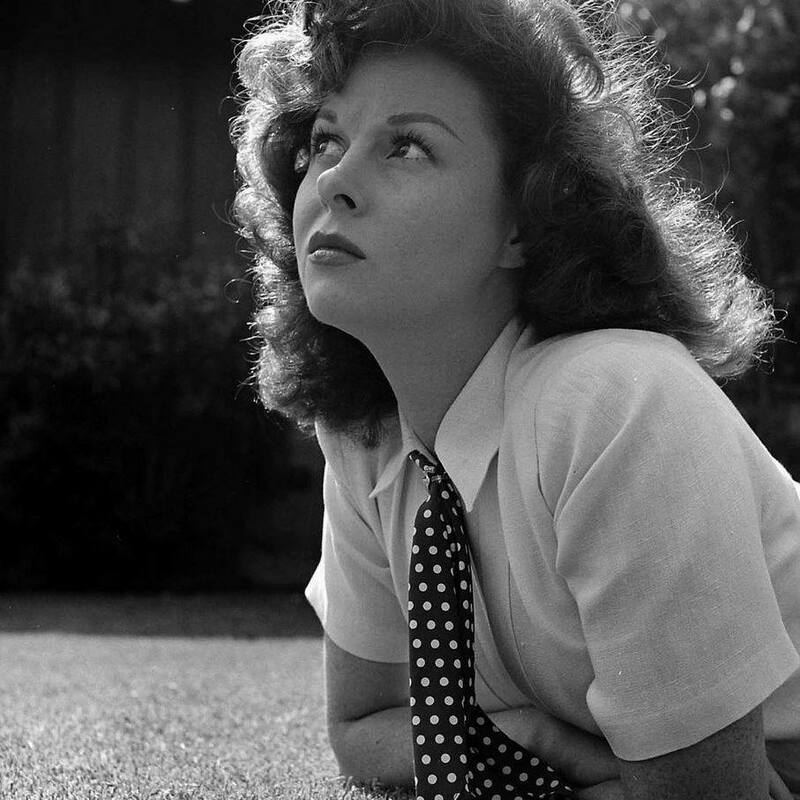 But even then, I can recall first seeing Susan Hayward in those three types of pics and also Noir and being quite blown away. There was that indefinable 'thing' when a particular player leaps off the screen and into your mind and heart. You are not sure why but it tends to be a lifetime admiration. my attraction began at age 10 and hit its' stride with "I'll Cry Tomorrow." about Susan,I think that when Tim is narrating he sounds just like his dad. Good voice. Wonder if he ever thought about acting! Oh no problem at all with mention of Chuck's thespian 'shortcomings'. Despite being an avowed fan, I happily admit that he was no Orson Welles. His strength lay in his amazing depictions of larger than life historical figures like Moses, Michelangelo, General Gordon, President Andrew Jackson, El Cid, Marc Antony, Cardinal Richelieu and the like. And his height, build, facial structure and voice gave the required gravitas and imposing stature to the lead roles in movies like 'Ben Hur'- '55 Days at Peking'- 'The War Lord' - ' Planet of the Apes' - 'Counterpoint'- 'The Omega Man' and the like. As to whether he thought about taking up the profession himself? Only he could say, but I also agree that he had a strong and melodic voice with good pitch that would ( presumably) have translated well on screen.